According to Forrester, only 22% of enterprise companies are currently seeing a significant return from data science expenditures. Organizations need a data strategy that brings all elements of big data analysis together and makes data science work visible, shareable, reproducible, and standardized. Implementing a DataOps methodology can help ensure these criteria’s are met. 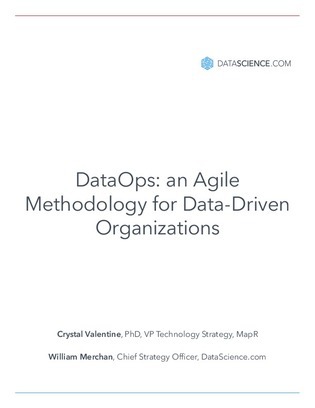 While DataOps is still emerging as an enterprise practice, the goal of the methodology is to organize the work of small teams involved in a collaborative process to build data applications. Dive into this whitepaper to uncover how to implement a DataOps model, and see the potential benefits of agility, productivity, security and more.